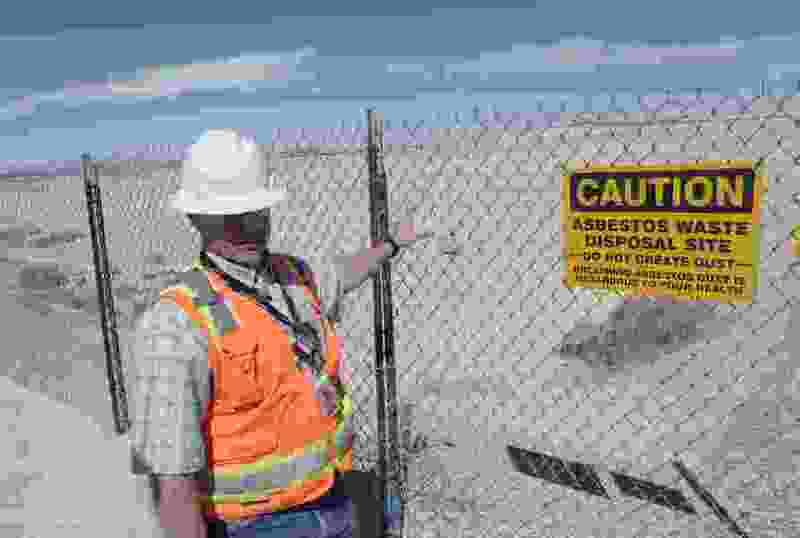 Tribune editorial: What is the half-life of a Utah environmental report on depleted uranium? (Al Hartmann | Tribune file photo) David Squires, general manager at Clive Operations for EnergySolutions, in 2015 stands next to an area intended to accept large quantities of depleted uranium. Should Utah allow Energy Solutions to store depleted uranium at its Tooele County radioactive-waste facility? It’s been a good question for about 10 years now. Energy Solutions has been trying for a decade to take depleted uranium (also called DU), which is a byproduct of producing fissionable material for nuclear power plants and weapons. Utah regulators have held off, so now the company is asking for an exemption to take just some old DU-containing munitions currently stored at Tooele Army Depot and in Indiana. The state will seek public comment on the plan. DU has a lower percentage of radioactive isotopes than natural uranium. Because it’s less radioactive but still 68 percent more dense than lead, DU has been used by weapons makers to make high-density bullets that can pierce armor. As a result, there are DU-containing munitions all over the world. The problem with long-term storage of DU is that its radioactivity grows instead of declines over time. The vast majority of waste at Energy Solutions will be safe in a couple of hundred years. But DU becomes gradually hotter because some of the uranium decays into thorium, which is radioactive. Tens of thousands of years from now — when Lake Bonneville perhaps has returned — it could be sitting at the bottom of the lake and leaching out. In the relatively short history of nuclear development, Utah has had an outsized role. Its uranium deposits around Moab fueled the dreams of an atom-powered world more than 60 years ago, but that early promise collapsed when the drawbacks of fission reactors became apparent. Uranium miners paid the price years later when health problems emerged. Then came open-air nuclear weapons testing in Nevada, which produced radioactive clouds that drifted over southern Utah. The government denied any health risk at the time, but it eventually paid compensation to fallout victims and their survivors. Even Energy Solutions itself came about because tons of radioactive waste from an old uranium processor in Salt Lake County had to be dug up and reburied in Tooele County to protect the public. The radioactive waste facility that is now Energy Solutions was built next to that site. That history has made Utahns wary of furthering the state’s nuclear legacy. Back in 2009, then Utah Gov. Jon Huntsman put a hold on accepting depleted uranium at Utah nuclear waste facilities. At the time, the Utah Department of Environmental Quality was supposed to prepare a “performance assessment” on Energy Solutions' ability to handle DU safely. Now, almost 10 years later, that report still hasn’t come out. At this point, DEQ owes Utahns not just the report but also an explanation for why it’s taken so long. Until the report does come out, there is no reason to consider Energy Solutions’ request to get a foot in the depleted-uranium door. That isn’t too much to ask when the consequences will last centuries.